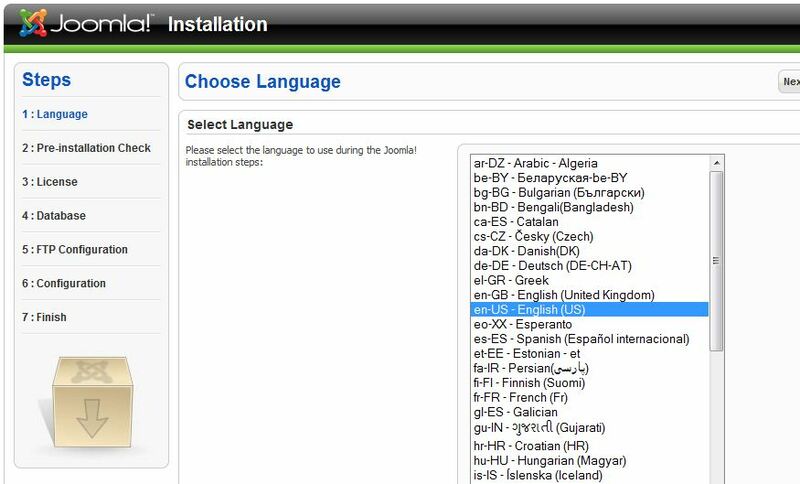 Before we start in to our joomla installation lets make things available that we may need in the whole work for our installation..
we will need a WAMP server to make our joomla work on a Window’s local host, for which we might need to download Wamp and also the joomla pack from the below given links..
just click on “create” will finish our task. 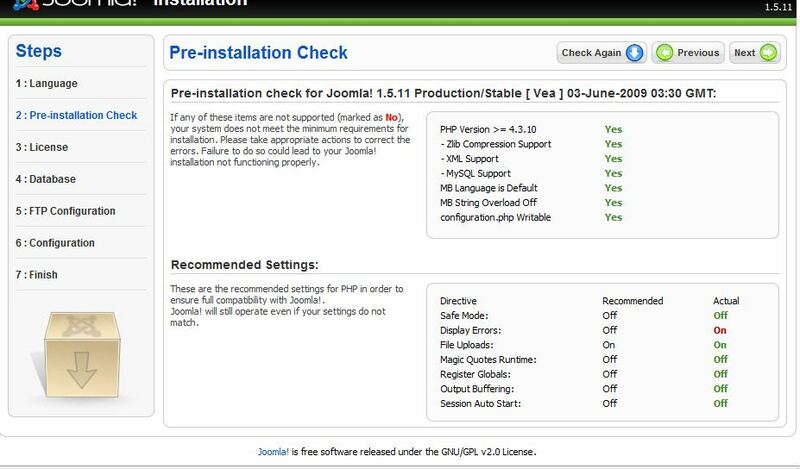 click on the joomla folder in the dashboard, which opens up the easy to install wizard of joomla.. lets check the steps one after the other.. 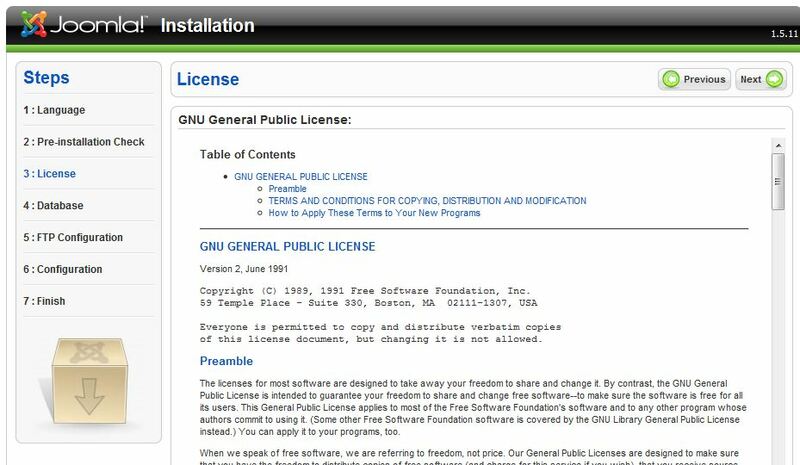 Step 3: License – Just give a look at the license and go next if you are comfortable with it, do not forget Joomla is a complete open source 🙂 🙂 is that not a great thing for a developer.. hurray. 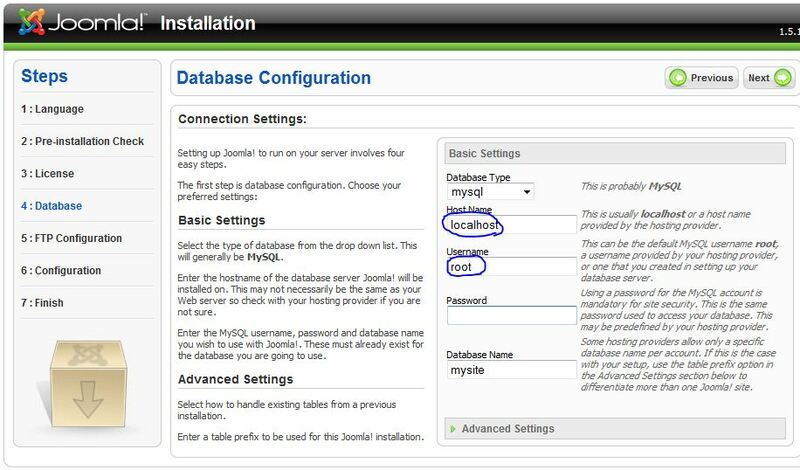 Step 4: database – this is where you configure the database settings for your joomla site. 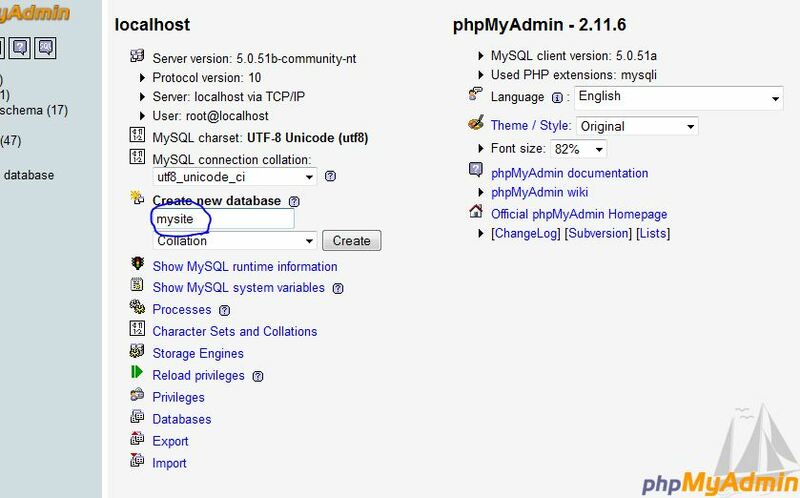 So the values as per a Wamp localhost are, for your host name it must be “localhost”, user name as “root” and the password remains blank. There after simple click on next and so our database is done here. 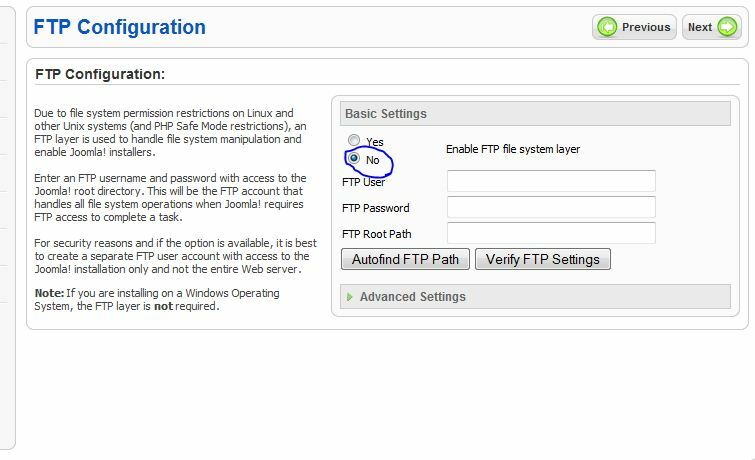 Step 5: FTP configuration – As we are on a localhost we do not have to bother or worry about this and simply select “no” and go on to the next step. 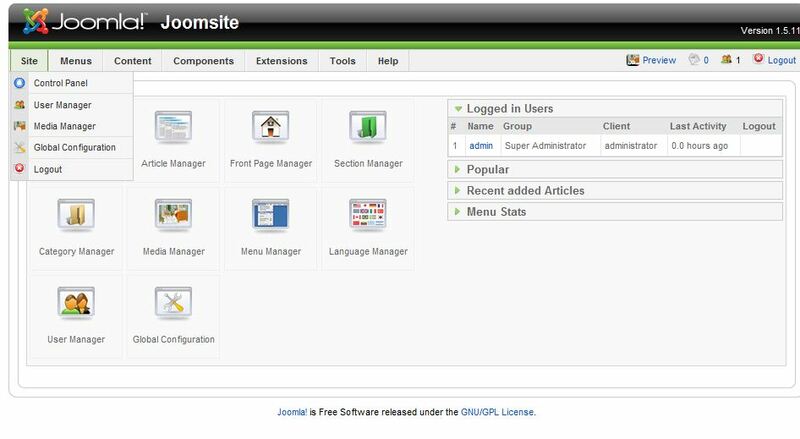 Step 6: Configuration – And here comes our site configuration settings, first of all lets give our joomla site a name.. i have given it as “joomsite”, make your own choice. Then lets give a email id for adminisrator’s purpose. But since we are on a localhost, the mail does not makes any sense for now. But it is important once you take youe site online. Fine then we have a option to enable whether we need any default items created prior to our site launch that will help any starter. So make your choice and finally its all done, ignore all other settings here on Configuration for now. 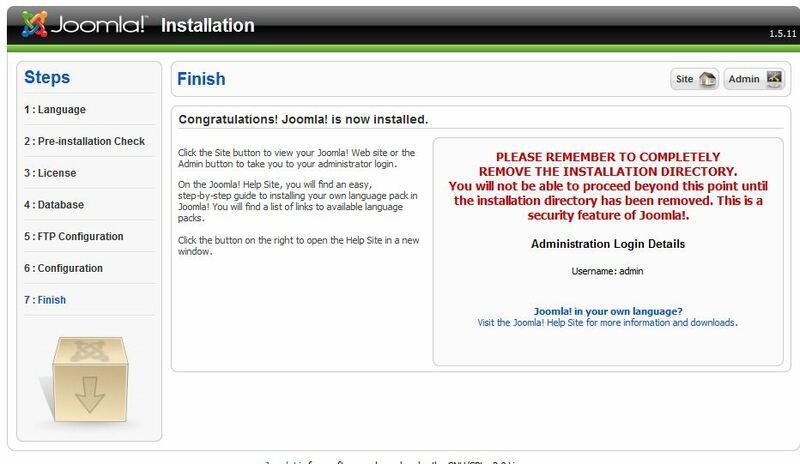 we might get to spot this folder at “C:\wamp\www\joomla”,here just delete or remove the install folder and once again come back to the installation page and give the url as “http://localhost/joomla/administrator/&#8221; then as a admin use the password we gave in the installation..with the email id that we specified. 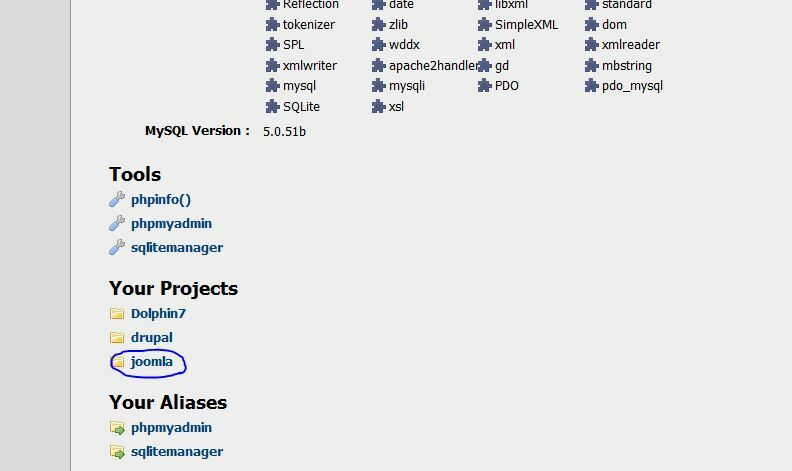 This is how your admin panel looks..
and this is your default joomla site which can be viewed by cicking on the Preview option in the admin panel on the top to show our site as below..